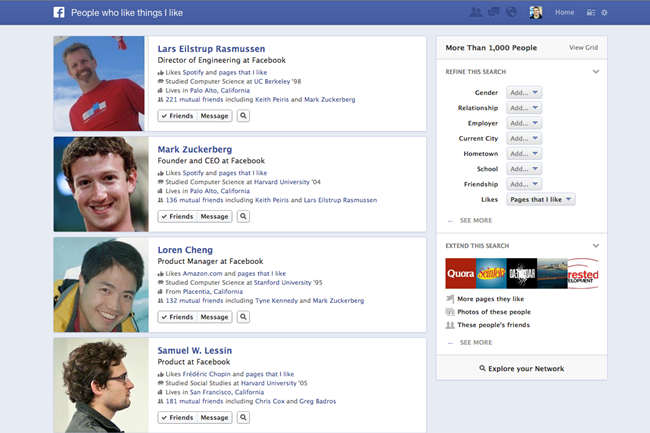 Facebook has introduced Graph Search, a new internal search service at an event held at the Facebook headquarters. 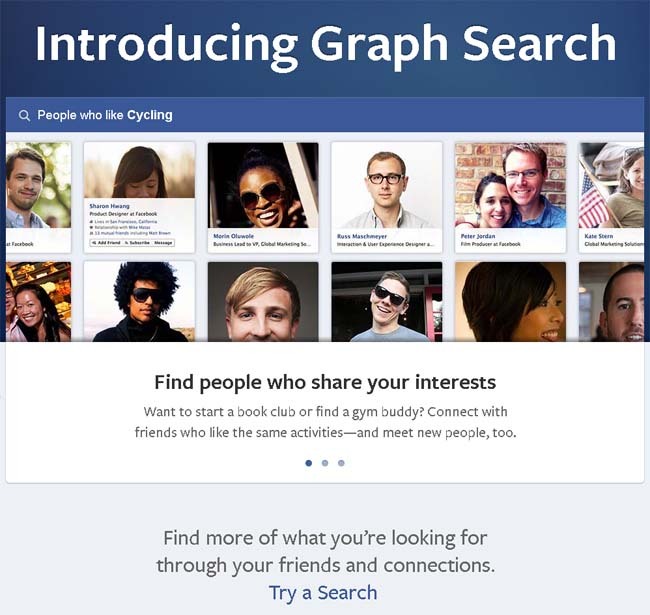 Graph Search, what is it? First and foremost, the new search function is meant as a way to find anything on any topic shared in the past. 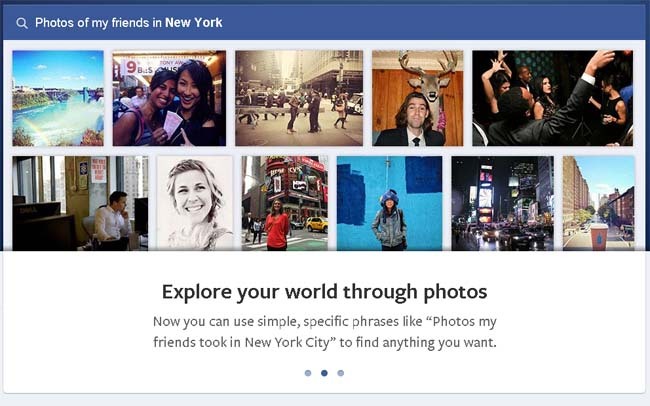 One example of a search phrase would be ‘Photos my friends took in New York City’, which would give those photos from NYC made by your friends as a result. 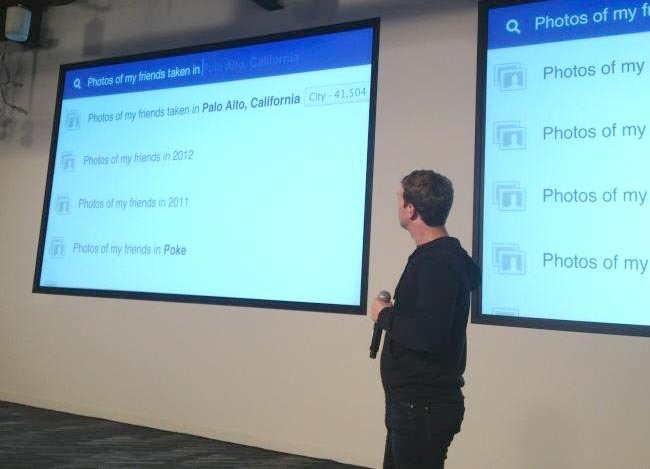 When it comes to privacy, it seems Facebook is trying to do it right, right away with Graph Search: when searching for photos for instance, only photos shared with you will appear. Subjects covered by the new internal search are people, photos, places and interests. In case nothing is found, Graph Search will switch over to web-based search by means of Microsoft’s Bing. This service means a lot of ‘old’ content you and your friends shared will be revisited: that which has been only viewed once or twice when passing by in the Timeline will now be revisited with Graph Search. On the right hand side you can see that the search results can be refined by gender, relationship, employer, current city, hometown, school, friendship and even likes. Also, searches can be extended firther (see bottom right of the above picture. The search should allow you to connect with more people, find new interests and see what has been shared in the past by your friends. This is one of the things Facebook will be on the same playing field as the top performing product from their competitor Google: search. No doubt Facebook will find ways to monetize it, with either sponsored messages/pages, paid ads next to search results and other means of income. Also, it will be interesting to see how fast Facebook will approach Google’s number of daily searches, which is around 5 billion per day. 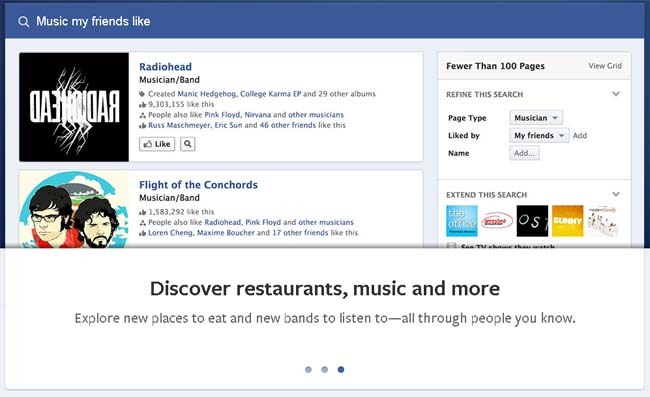 Facebook has over 1 billion users, according to an update in September 2012. More details can be found here in the Facebook Newsroom, as well as the about page. You can also join the waiting list for beta access – currently only available to English (US) audiences.